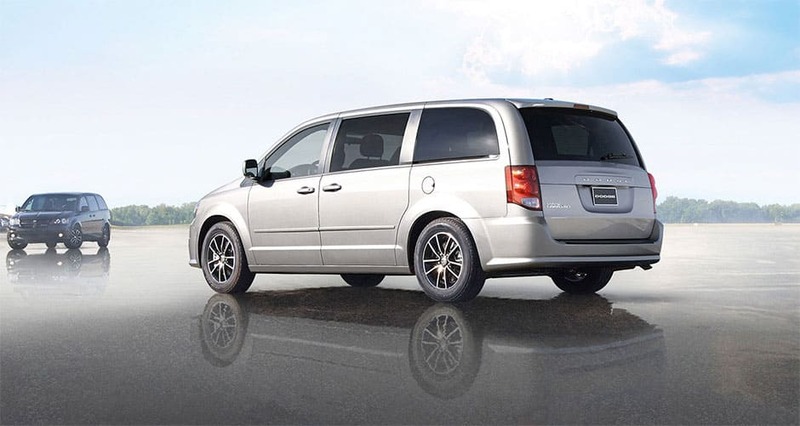 The Dodge Grand Caravan minivan is offered in four models: the AVP, SE, SXT and R/T. With room for seven in three rows of seats, the Grand Caravan competes against the Honda Odyssey and Toyota Sienna, and it's related to the Chrysler Town & Country. Other than some option package changes, there are no other significant changes for 2015. Flex your strength with a 3.6L Pentastar V6 that packs the most horsepower in its class. You will enjoy 283 horsepower and 25 highway mpg for towing, hauling and dropping jaws. All-speed traction control monitors wheel spin so the drive wheels have maximum traction. It is particularly useful when starting off in wet or icy conditions. If the system detects wheel slip, it applies brake pressure to the slipping wheels and may reduce engine power to help maintain traction and vehicle stability. Stay in charge with plenty of different interior configurations including industry-exclusive Super Stow 'n Go seating that folds flat in seconds and offers up to 81 seating configurations. The exclusive Super Stow 'n Go Seating and Storage System enables second- and third-row seats to fold completely flat in seconds to triple your available interior space. Even the bells and whistles have bells and whistles. All passengers get what they want with a class-exclusive Blu-Ray and DVD entertainment system that can play different media across two screens, so some passengers can watch a movie while the others play a game. 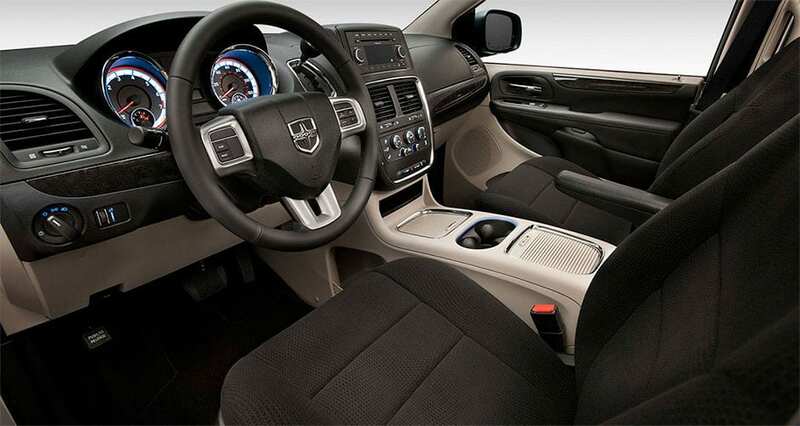 Safety features for the 2015 Dodge Grand Caravan include: All-disc anti lock brakes, Electronic stability system, Side-impact airbags for the front seats, Side curtain airbags for all three rows, Active front head restraints, Available power-adjustable pedals, blind spot monitoring system, rear cross path detection system, rear parking sensors, and a backup camera. The Dodge Grand Caravan is designed to feel like a two-ton woobie blanket. It boasts over 55 standard and available safety, security and technology features including seven standard airbags. For more information on this vehicle, feel free to give us a call!